Please remember Camp UniStar on Give to the Max Day - November 15th. Your charitable gift to camp will ensure that it continues to live out its vision and remain a rare and beautiful resource, building and sustaining memories for generations to come. How can we advance our Vision of Belonging at Camp, Cherishing the Island, and Inspiring Action in the World? Please share your ideas here. Would you enjoy a week on a beautiful island retreat where you can unplug, unwind, and enjoy nature? A place where you can learn something new and engage -- when you want to -- with a village of old and new friends who are largely rooted in Unitarian Universalist values? Camp UniStar is a place of natural beauty and serenity nestled on Star Island, surrounded by the clear waters of Cass Lake. Here amidst the Pine forests of northern Minnesota, Unitarian Universalists and like-minded friends gather to relax and regenerate. The dark, clear nights are perfect for star-gazing, while sunrises and sunsets invite meditation. Water activities abound and there are miles of trails through the quiet forest. 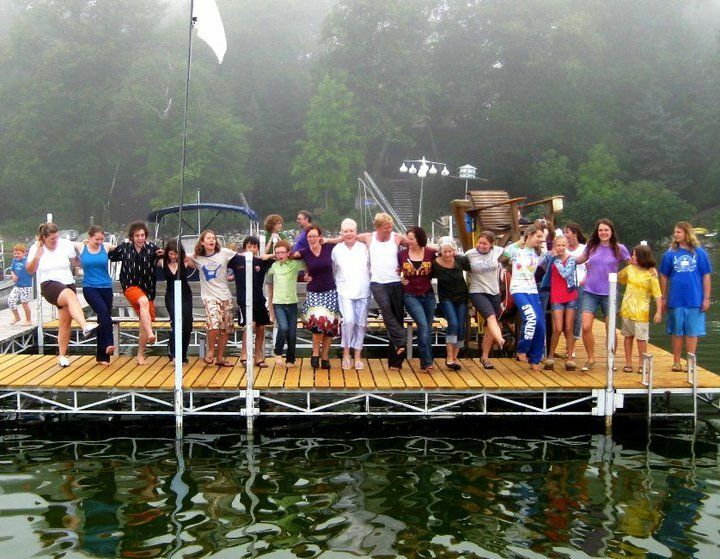 Campers enjoy sailing, swimming, kayaking, canoeing, hiking, volleyball, horseshoes, crafts, card games, board games, conversing, or quietly reading on screen porches…all on an island with no roads or commercial enterprise. Established in 1961, Camp UniStar is a non-profit, volunteer-managed camp for people of all ages. Families and individuals come seeking personal growth, community, and friendship as well as a deeper connection to nature. They leave with changed lives, new friends, and lifelong memories of a magical place. During the season, camp offers 12 weeks with various programs – some for youth only, some for adults only, most for a combination of individuals to family groups. The season opens with a work week fixing up the camp, and two youth weeks for people entering 7th through 12th grades. In addition to staff, camp capacity each week is up to 70 campers, who are housed in sleeping rooms in the cabins and the upstairs of the main lodge, or in a tenting area beside the lake. We hope this website will give you an idea of this uniquely Minnesotan, uniquely Unitarian Universalist place that is special to so many hearts.